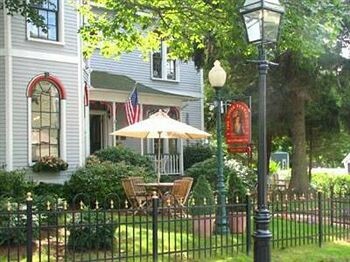 Property Location When you stay at Adele Turner Inn in Newport, you&apos;ll be in the historical district and minutes from Old Stone Mill and Touro Synagogue. This bed & breakfast is within close proximity of Touro Park and St. Mary&apos;s Catholic Church.Rooms Make yourself at home in one of the 11 air-conditioned rooms featuring DVD players. Complimentary wireless Internet access keeps you connected, and satellite programming is available for your entertainment. Bathrooms have hair dryers and bathrobes. Conveniences include complimentary newspapers and irons/ironing boards.Rec, Spa, Premium Amenities Take in the views from a garden and make use of amenities such as complimentary wireless Internet access.Dining A complimentary buffet breakfast is included.Business, Other Amenities The front desk is staffed during limited hours. Free self parking is available onsite.